Heat oven to 450°F. 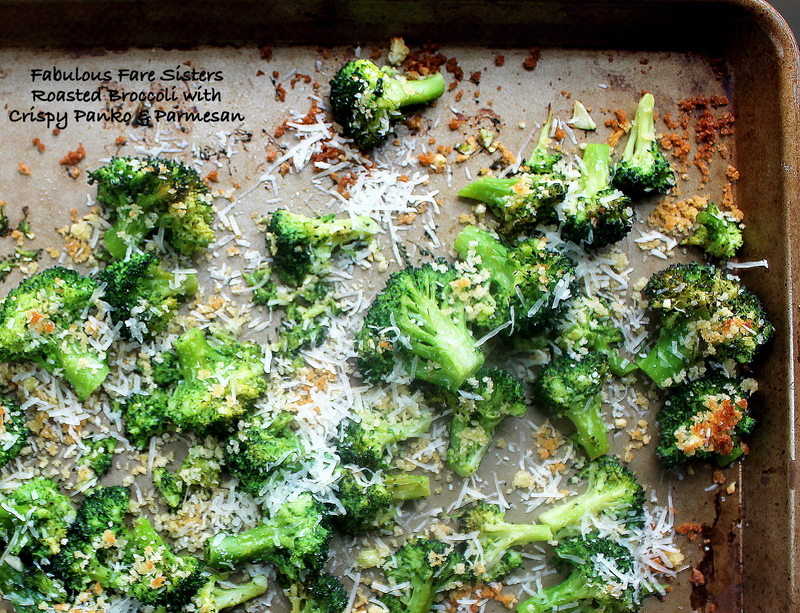 Cut broccoli into florets. Boil water in a medium saucepan; add 1/2 teaspoon salt. Cook broccoli florets 3-4 minutes in boiling water; drain. Place florets back into saucepan; drizzle with 1-2 tablespoons extra virgin olive oil and season with salt & fresh ground pepper, add in garlic and lemon juice. Toss well. Layer on a baking sheet; roast 5 minutes in heated oven. Meanwhile combine 2 tablespoons extra virgin olive oil, the Panko crumbs and half the Parmesan cheese. 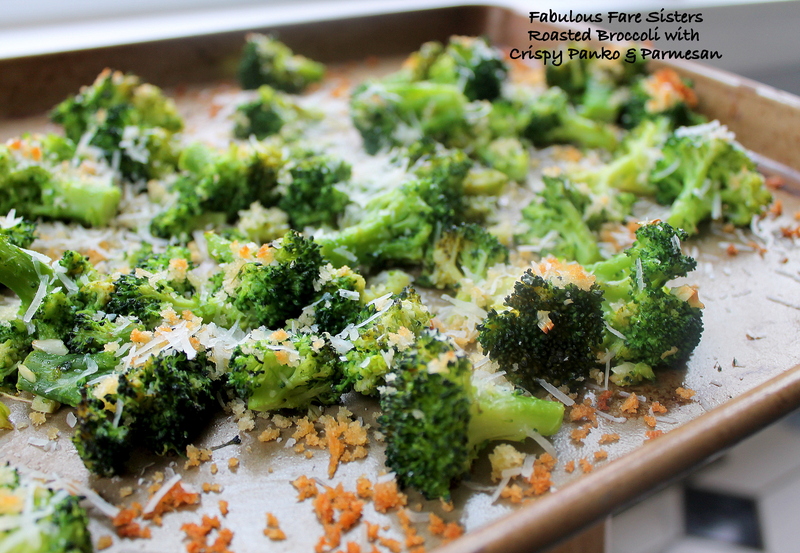 Remove broccoli from oven and sprinkle with the Panko-Parmesan mixture. Place back into the oven and roast a few more minutes until Panko-Parmesan gets lightly browned. Remove from oven; sprinkle with remaining Parmesan cheese and serve immediately. Serves 4.